I've said before Kayden isn't exactly the best eater so if I can trick him into eating his fruits and veggies then I'm going to have to it in a treat kind of way. 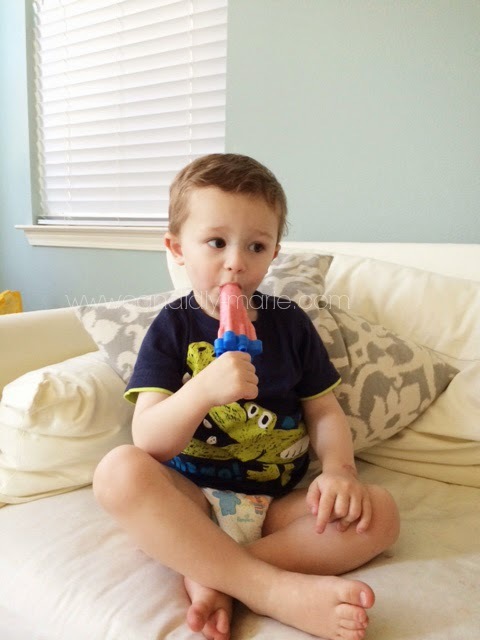 We recently bought the Popsicle molds at the store and yesterday I decided to give them a try. 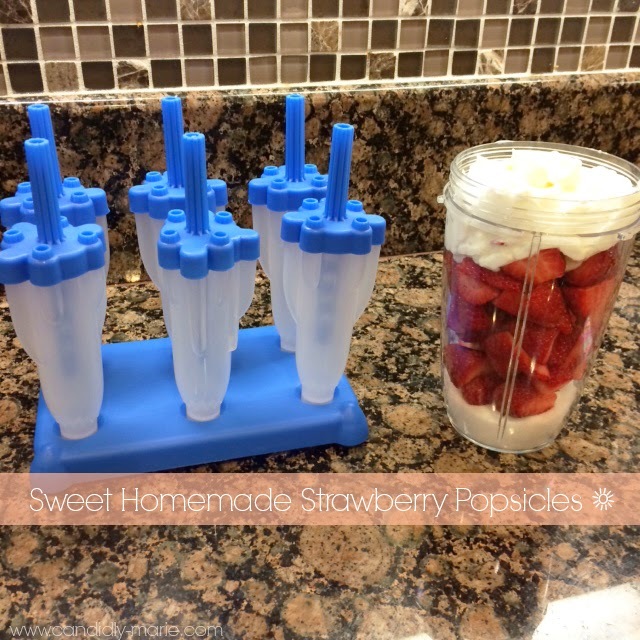 Thanks to Sara over at Mom Endeavors for making this recipe! Directions: I pureed all of the ingredients in our nutri bullet blender then poured them into the molds, after freezing for 6 hours they were ready to enjoy! Kayden likes to call them "popsh"